A beautiful, woody plant. Attracts many bird species and pollinating insects. Root mixed with vinegar makes a brown dye. 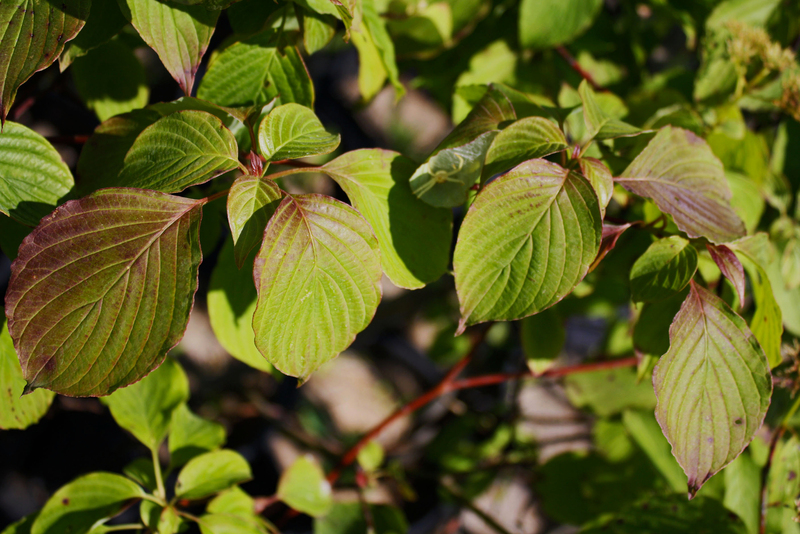 Most dogwood species have opposite leaves while this specific species has alternate, hence its common name. This species is also known as the pagoda dogwood.